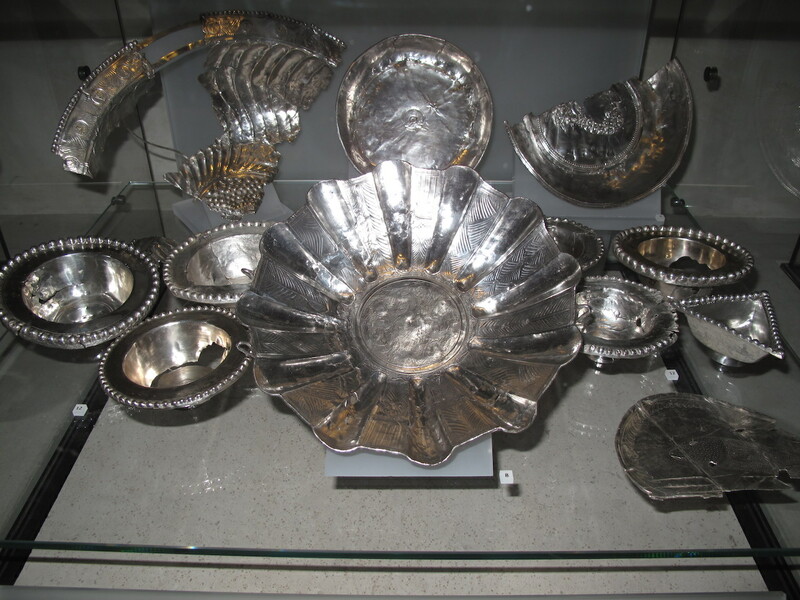 Silverware hoard from Traprain Law given as a diplomatic bribe by the Romans to the natives. Four fine gold torcs, chains worn around the necks of Celts, made in the Celtic style but by Roman craftsmen. 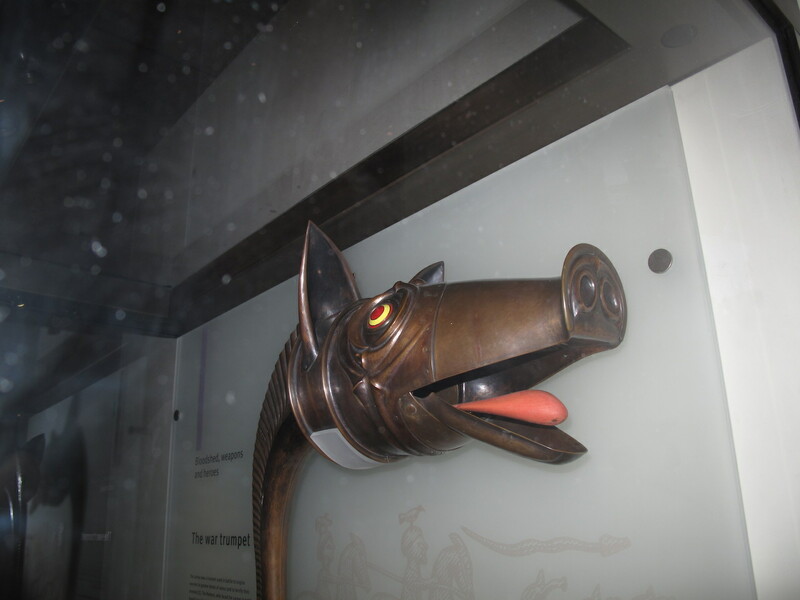 Remains of a carnyx, or Celtic war trumpet, along with a reconstruction. Pottery, including red Samian ware. The Cramond Lion, a memorial for a Roman officer depicting a lion devouring a captive bearded man. An Antonine Wall commemorative slab noting the Roman soldiers who built the wall.